On October 24,2014 some of fellow FFA members went to Camp Conger with the South Central fourth graders and taught them about the positive and negative of living on a farm. 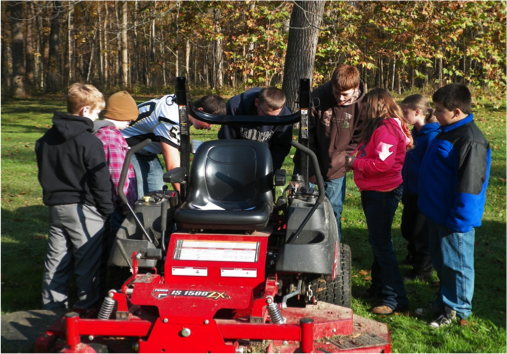 There were many sessions they visited such as animal safety, tractor and skid loader safety, lawnmower and gator safety and forestry, and soils. At the animal session we taught them about the blind spots and interesting facts. At the machinery sessions they learned about the safety of running the equipment. The soils and forestry session were about the different layers of soil and for the forestry they learned about board feet of a tree.